Vinyl black and yellow 3" pleats. Requires minimum of 8" oversize platform for mounting. 1.0 gpm at 80 psi and 80 cfm free air, with lift fully loaded, hand or foot valve control included. 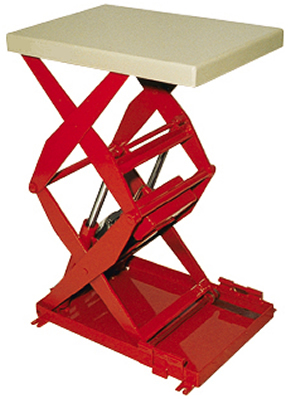 All portability options are to be used with the lift platform in the low position only. Note: Adds 2-1/2" to low height.